Submissions are now open for The London Magazine Short Story Prize 2018! 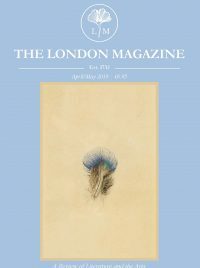 The London Magazine has published short stories by some of the most well-respected literary figures over the course of long history, from Jean Rhys to V. S. Pritchett. Our annual Short Story Competition seeks out new voices to join them.